This page shows the latest bio-medicines news and features for those working in and with pharma, biotech and healthcare. Shaw, president of Lilly Bio-Medicines. placebo. 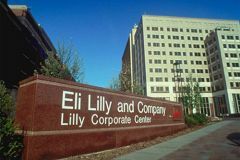 "The impact of migraine is underestimated, with people who experience migraine attacks often missing work, family activities or social engagements," said Lilly Bio-Medicines president Christi Shaw. Ware, senior vice president for product development and interim president at Lilly Bio-Medicines. Approximately 1 fully matching, plus 12 partially matching documents found.